Penn College physician assistant students practice their suturing skills. During National Physician Assistant Week, the Penn College physician assistant program is celebrating the announcement of its continued accreditation through the Accreditation Review Commission on Education for the Physician Assistant. Pennsylvania College of Technology has much to celebrate during 2017’s National Physician Assistant Week. An initiative of the American Academy of PAs, National PA Week takes place Oct. 6-12 each year. This week, more than 115,500 physician assistants celebrate the profession’s contributions to the nation’s health and increase public awareness of the important role PAs play in collaboration with physicians in providing patient-centered health care. Commemorating the first PA graduates from Duke University in 1967, this year also marks 50 years of the PA profession. Last year, the Penn College physician assistant program marked Physician Assistant Week in grand style as it spent the week celebrating not only the profession but also the historic decision by the college’s Board of Directors to approve the college’s first master’s degree in physician assistant studies. The college accepted its first cohort into the new combined, five-year Bachelor/Master of Science in physician assistant studies this fall. 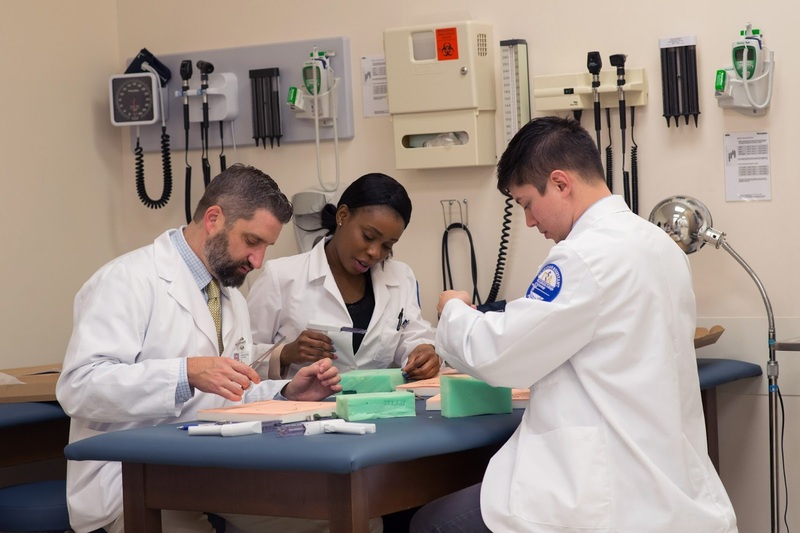 This year, the Penn College physician assistant program again celebrates National Physician Assistant Week in grand fashion with news that the Accreditation Review Commission on Education for the Physician Assistant granted it continued accreditation. ARC-PA’s next validation review for the Penn College PA program is scheduled in September 2027. PAs are licensed medical providers authorized by the state to practice medicine with the supervision of a licensed physician. Physician assistants exercise autonomy in medical decision-making and provide a broad range of services. The role demands sound judgment, intellectual honesty, and the capacity to react to emergencies in a calm and reasonable manner. Penn College prepares graduates to become competent and caring practitioners who can perform diagnostic and therapeutic services. In order to practice, physician assistants must graduate from an accredited physician assistant program, pass the National Certifying Examination and obtain state authorization to practice through their state’s licensure, registration or certification processes. For more information about the Penn College Bachelor/Master of Science in physician assistant studies, visit www.pct.edu/pa, contact the School of Health Sciences and PA program at pa@pct.edu, schedule a tour at www.pct.edu/visit, or attend Penn College’s Open House on Oct. 29 from 9 a.m. to 3 p.m.